Events make Forms more dynamic for your customers. They allow you to run custom code, search other systems (e.g. with bridging), and set fields with data. Events are available on almost all the different elements of a Form. Sections, HTML/text elements, and the preconfigured buttons (Save for Later, Submit, and Previous Page) are the exceptions. The location to find events is always the same: near the end of the Form Details pane. Click on the Add Event button to open the event dialog. Not all event options are available for every element. For example, you shouldn't have a Submit event on an Attachment question. The Type of Event determines when the event is fired. All Questions have a Change event type. While this is easy to see how it works with drop-down lists and radio buttons, questions like Attachments and Date/Time fields are a little trickier. The event is triggered on every change, so you need to use the Run If condition (see below) to monitor exactly when to fire the events. For example, you may not want to fire an event if the field value is null; or you may only want to fire the event if another question contains a specific value. Unlike Types, there are opnly two options available to select when an Event fires, Custom and Set Fields. Set Fields. 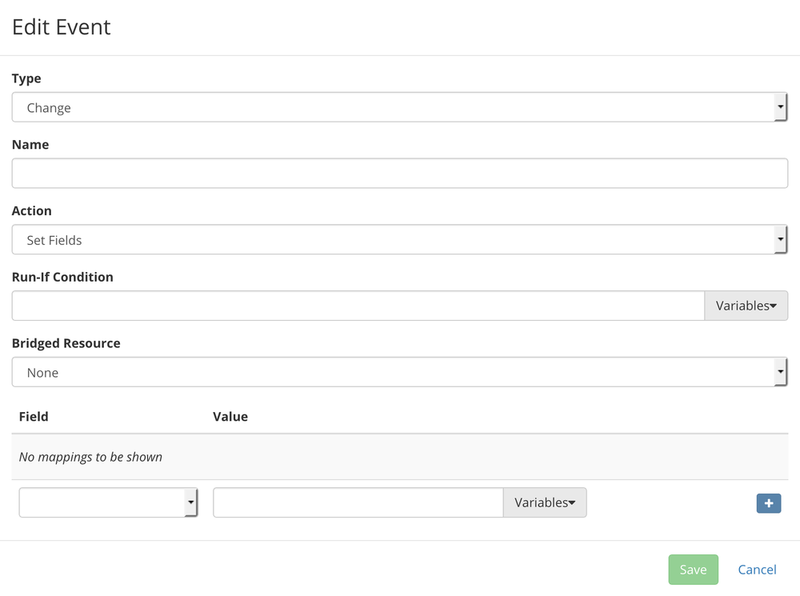 Allows you to set a value to any existing question on the form. 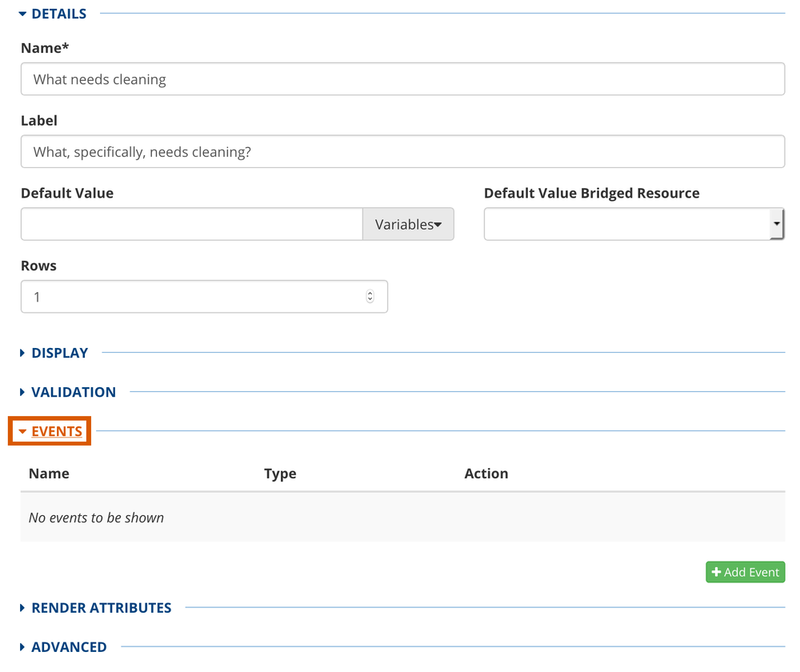 You have the option to use a bridge to collect the values, or you can use the standard set of variables provided. The variables provided include the values of the questions on the form, the form information, the identity information (for the logged in user when the even fires), the kapp and space information, etc. A couple of other features enhance Events usefulness. The first is the Run If condition. This feature lets you stop the event from firing if the condition evaluates to false.